Marine recreational fishing (MRF) is a high-participation activity with large economic value and social benefits globally, with separate catch allocations for commercial and recreational fisheries common in some countries. Although reporting of recreational catches has been a European legislative requirement since 2002, robust estimates of MRF are only available for some countries. 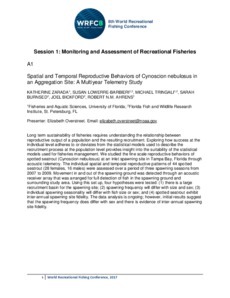 In this study, the numbers of anglers, participation rates, days fished, expenditures and catches of two key species were synthesised to provide estimates of MRF in Europe. National data were collated by local experts and, where surveys did not exist, combined with extrapolations from donor countries corrected for population size or GDP. We estimated that there were 8.7 million European recreational sea fishers and a participation rate of 1.6%. Each year, 77.6 million days were fished and direct expenditure was €5.9 billion. Higher participation, numbers of fishers, days fished, effort, and expenditure was found in the Atlantic than in the Mediterranean region. Comparisons with other regions globally showed that MRF participation rates were higher in Oceania and the U.S., but expenditure was lower than the U.S. In contrast, participation rates, days fished and expenditure were higher in Europe than South America and Africa. Removals by MRF represented 27% of the total removals for European sea bass and western Baltic cod. These estimates highlight the importance of the European MRF and the need for collection of MRF data that can be used for stock assessment and fisheries management, leading to sustainable use of European marine fishery resources.